This transmission of the Cosmic Great Central Sun of the Divine Mother and Father God was shared Live in the Clarion Temple of Oneness on July 21st, 2014. We Are One, We Are One, We Are One Together, Together We Are One Of All The Angelic Principalities. We extend our blessings to each of you during this great time of transformation, transitions and acceptance of whom you are. May the Light always be your guide as your angels wings unfold unto all that you are; bless those wings as they help you to remember whom you truly are. I AM the Divine Mother and the Divine Father God as the Cosmic Great Central Sun in unison. In the presence of this beautiful Temple Light with all these frequencies of the spectrum of colors coming into the entire room, we bring forth tonight the ability to understand from your soul’s perspective and from your physical perspective how to be more within yourself. Some individuals may not understand why the transitions keep occurring through the process of your divinity to the process of your pathway that one day you awaken with an idea and a concept and the next day the idea may be lost. What happens through this process of living in the moment is the previous moments can become lost. So we talk to you about journaling, making notes, because it is due to your Higher Consciousness coming into your physical existence while having revelations and this change happens in each moment. You are just like a child does not remember their past from year-to-year, as they become an adult within the depth of thoughts of what happened to them. This is because the energy shifts and you are no longer in that time. What creates that within you is a reflection of a “movement of remembrance” but you may fully not recall the exact details of those moments. It is very important to understand within yourself why this occurs. It occurs because of the world, it occurs because of the third, fourth exchange of duality, and it occurs because of what you are struggling with physically. When you awaken with these great inspirations, it is your Higher Consciousness coming into the physical, you then start to go about your day and you forget who you were when you first awoke. This is due to so many changes happening that you start to reflect in the third dimensional essence or the fourth instead of the fifth, the tenth or even the twentieth of what you are accessing in your higher state of consciousness. Say that you are incorporating that Higher Consciousness within the physical body, the brainwaves can’t hold that Higher Consciousness and tonight we want to assist you with this. It is important to understand how we can sustain ourselves through the challenges that are occurring until the new Earth is the New Earth fully, until you are able to walk around freely and not encountering someone of a lower vibration. Coming together in Oneness in thoughts, emotions and experiences is what everyone truly desires here. We know this, this is why you come every week to be rejuvenated to understand more about yourself then you possibly did not realize. Those are revelations and in those moments the realizations come to you, can go as quickly so it is important to take time to sit and make a notation; carry a notebook with you, or a piece of paper, or jot it down in your fancy little phone, however, you need to do it, do it. This will assist you to remember the parts of the puzzle that are being created within your consciousness; your physical mind is not ready for the Higher Mind to fully be active. Within that process what occurs are small particles of Light coming into you through processes. You may not understand it and you probably won’t; because it will be like pieces of a puzzle putting together as a part of yourself that you truly do not know exists and within your physical mind you may think that the beginning part is all there is. But yet there are so many other parts; you may not find the ending part for quite some time. This is what happens when the higher Light forms start to filter into your physical mind for you to accept and process, but if you don’t learn how to tap into your Higher Mind through your breath, through the moment of existence of the frequencies of Light, or the color spectrums, then you become that third or fourth dimensional person very easily. It is a challenge and each of you are up to this challenge because you are here in these moments to do so; that is what we want to share with you tonight of how to be introspective within yourself; but also understanding the process that you are undergoing. Because what you are receiving, may be very important in your Light path what happens in most physical minds is that you remember a dream or you bring forth a thought upon awakening form sleep or a meditation and you understand the whole process as you are bringing the Higher Consciousness into your memory. This can happen within ten minutes, half an hour or even later in the day; you may not remember all of it but within small portions, because your Lower Mind is fully not ready to take that essence, process it, and figure it out. It can’t do it on its own, so the Higher Mind must assist the Lower Mind. This is truly what we mean when we say to work with your Masculine and Feminine self’s. They are working within these areas to assist your physical body to understand the process through knowledge’s and wisdom. I know Yamteleus has asked everyone to bring up their weakest link, what is the part of yourself that holds you back that you have been trying to work through. Believe me, this can be part of the process of the puzzle as you may be getting only small fragments so you can’t really put it together and see that picture in front of you; because you only have one, two, or a dozen pieces, it still ongoing and you are trying to figure out what are the pieces of the puzzle. Well, it is not the pieces of the puzzle; it is the entire puzzle itself by stopping and allowing the puzzle to come into fruition. You are in the middle of the puzzle, you as that soul as that Being of Light and all the other elements are coming into place to assist you from other timelines, from knowledge’s and wisdoms that are locked into your Higher Mind that are from your I AM Presence. Until you are ready to receive them, you cannot accept them. This process of not remembering is because you simply did not allow yourself to feel the entirety of your Higher Essence within your physical self; it will have to be repeated. This is why we say make notations; it is important even to have a little notebook by your bed when you wake up in the middle of the night, just write that thought down, or in a meditation or during your day you may have a revelation from your dream state that comes into you. It is only going to be a portion of what you really need. Again, it is because your memory cannot hold it all; your mind is processing so many things at so many times that it is important to stop and experience the serenity of each moment to come fully within you. What occurs through this process is what you encounter within your day will be part of what you are trying to process on the inner plane level, in your sleep state, meditative state, and your altered state of reality that is trying to come into focus. Assisting yourself through the process is going to help. We talk a lot about surrendering lately and this is part of the surrendering, surrendering within your physical mind that you really don’t know what is occurring, that you are allowing yourself to continue the walk, because the frequencies of Light and the spiritual hierarchy and the entire beings of the God force will not allow you to fail. This is the true process that you are undergoing at this time. There are a lot of transitions happening in the middle of this month as changes are being ignited through each of you. So we want to help you and so does Master Gandhi; he is here to assist you with this. If there is anything that you can do is to be in a state of grace when elements around you that do not reflect your consciousness. This is very, very important. Let us take a moment and prepare each of you for these energies to allow them to come into your full focus so that you can accept yourself in a completely new way of Beingness. Breathe in deeply. 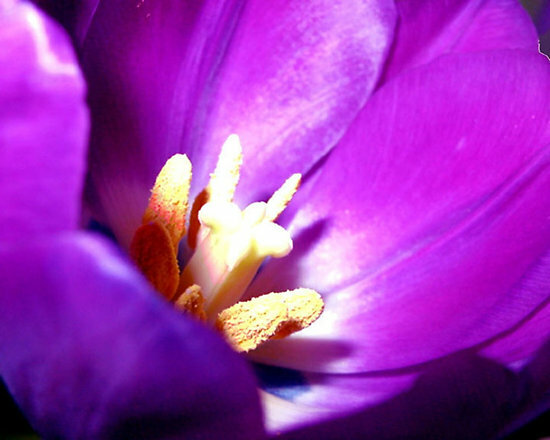 I want you to feel the colors of the Violet allowing the thought process of your weakness to come to the surface so that it can be fully transmuted. When it gets transmuted, it sometimes breaks apart into many other pieces. Anything that you put into the Violet Fire to will break apart, so it is important to look at the other parts. So let’s breathe together bring forth this essence of the Violet Flame and shades of the Purple will come later. Now all the parts have disintegrated the weakness that was you and some of those parts you will need those elements of frequency that are no longer are you. What are you feeling in this moment? What is the deepest center-edness within yourself? As we take now the Pink flame to accelerate the Adoration and Love for the Self from your Higher Essence bringing that frequency down allowing divine Mother to fully embrace you in this moment. Now each of us, together of the Heart and Will of God of the Christed energies of the Cosmic Great Central Sun embrace you. This is at your highest point to allow yourself to move through the process of your divinity to fully come within you. Breathe and feel our essence, breathe and feel our connection with each of you through this process of Light within this beautiful Temple as we expand our arms to each of our children in the unison of Light that we are together. Breathe and feel the Divine of your Masculine and Feminine; allow them to come together for acceptance, because it is at this point you are fully ready to experience more of your highest self, the part of you that remembers, reflections of your dream state, reflections of your meditative state, and reflections of your altered state of consciousness. Hold this essence, hold this essence, be it, be it and it is your divine right. It is our pleasure as the Cosmic Great Central Sun to fully come within your Heart Center within all that you are and all that you will be in all your future moments. We bless you and honor you, we bless you and honor you. We are One ~ So Mote It be in the Light of the Christ That We Are. Holy, Holy, Holy God of Host. We are one. The Clarion Temple of Oneness channeling can be accessed via http://clarionlightbeings911.com which contains the portion from Muhatma Gandhi, July 21, 2014.